During the first week of the Lendon Gray’s twelve week winter intensive program, we caught up with Hannah Corjulo as Lendon coached. 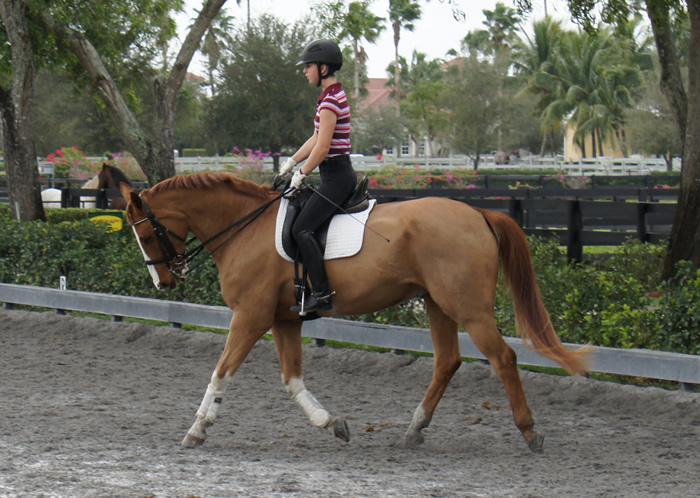 She is one of fourteen young riders from across the country who have been selected by Lendon Gray to take part in the intensive riding instruction program in Wellington, Florida. Hannah Corjulo , a 17-year-old with her horse Essex, a 22-year-old Westphalian given to her by her dressage coach and mentor Nancy Rosen from Frog Hollow Farm in Esopus, NY, builds onto her foundation with Lendon Gray in preparation for the Junior (Young Rider) level. Hannah said, “We want to do the Junior Level again this year and get better scores than last year. Hopefully, it will be easier (by going through this program). Lendon had me shorten my stirrups, and I have been focused on keeping my hands more forward and loosening my back while my hands are more forward, how to give my reins better. She puts me through a bunch of movements and then corrects me when I am wrong. 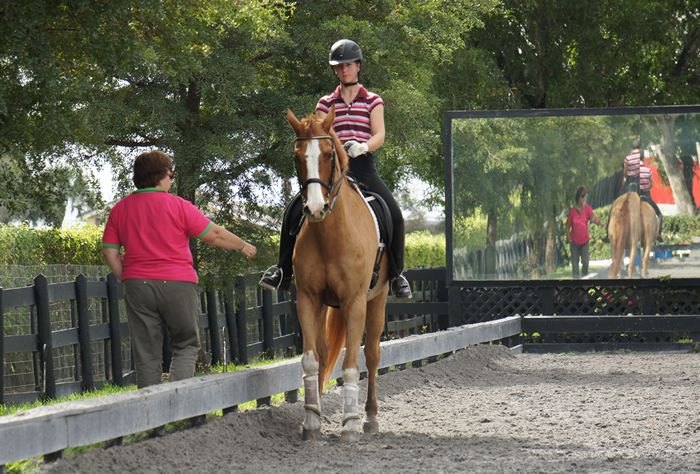 We do a lot of transitions and that helps a lot because he runs and he bears down on the bridle. We try to mix it up as much as possible. That keeps him paying attention." 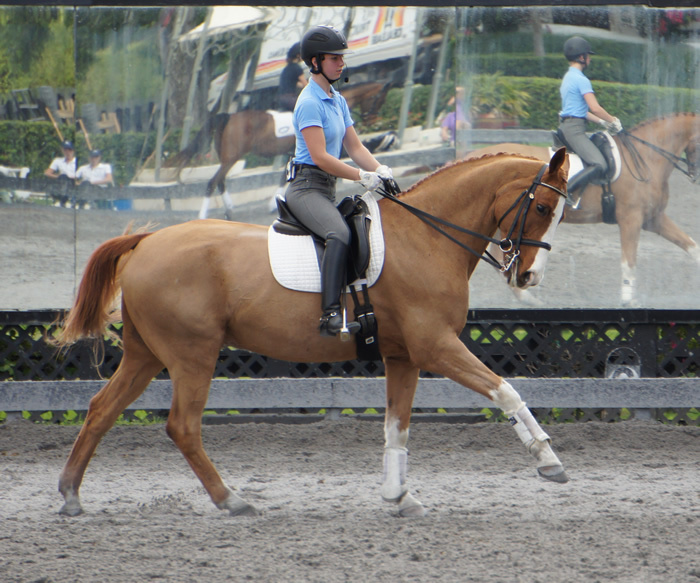 Corjulo explains what happens to her during the canter-walk transitions Lendon has her working through. The students began to arrive on the fourth of January. There were a few days of figuring out which horses could be next to each other in the stable, where in the turnout paddocks and scheduling with the riders what works best for their horses: organizing equipment, getting to know one another, generally just settling in. Some of the horses had over thirty hour drives to recover from. They all had few days to adjust to the warmer weather, adapt to body clipping, and make the overall adjustment. 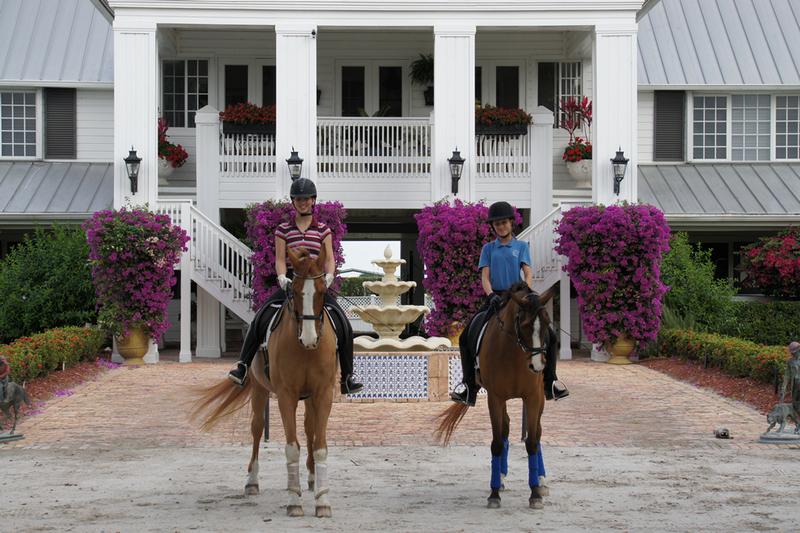 Most of the kids come from boarding facilities, and are learning the rigors of everyday full-time horse care. 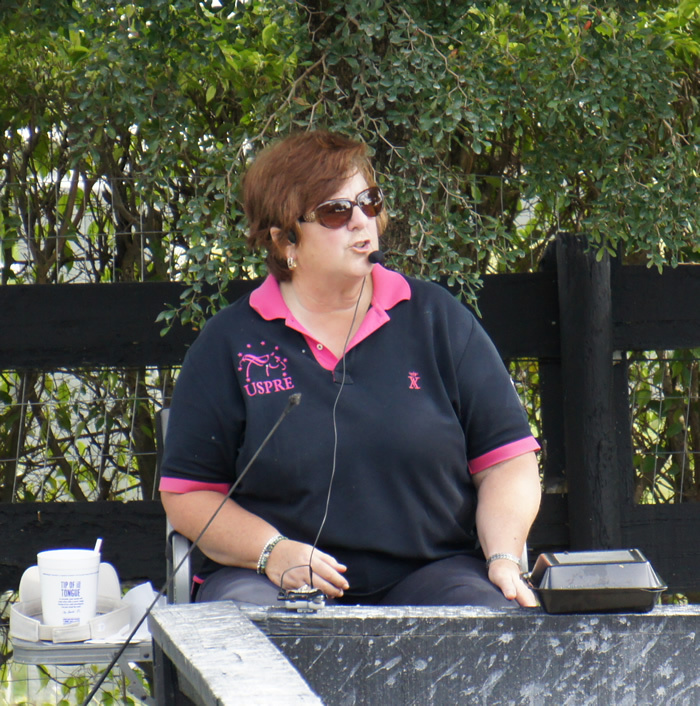 Being in a group like this, has given them confidence, because they are watching the ones who have more everyday horse care experience. Getting up at 6:30am was hard for some of them the first few days, a bit of a wake-up call that it’s going to be seven days a week. They were tired, but that has been really good for them. I give them all credit that they are working really well together. They are helping one another out when they see one who is struggling with something. They are jumping right in and helping," said Clark. On the 7th of January the students started with a nutrition lesson. 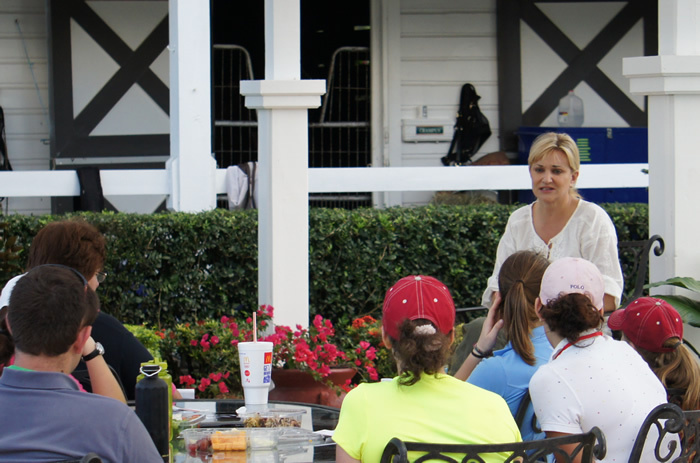 Mary Beth Gordon from Purina helped them understand the needs of their horse in the Florida climate, the hard training in the heat, and the overall needs of each one of their horses. 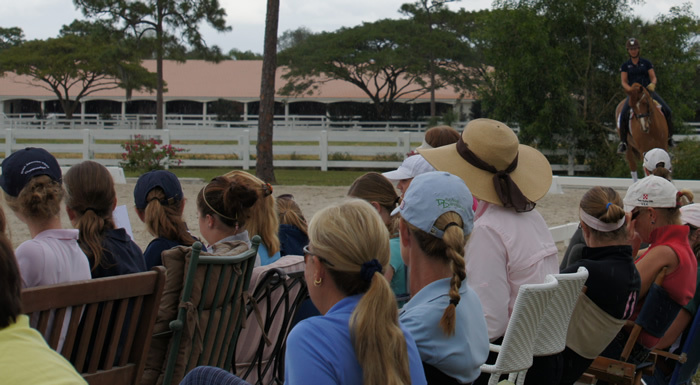 They learned about Sand Clear and Electrolytes, as well as the correct amounts of grain and why that is so important to the training of their horses. 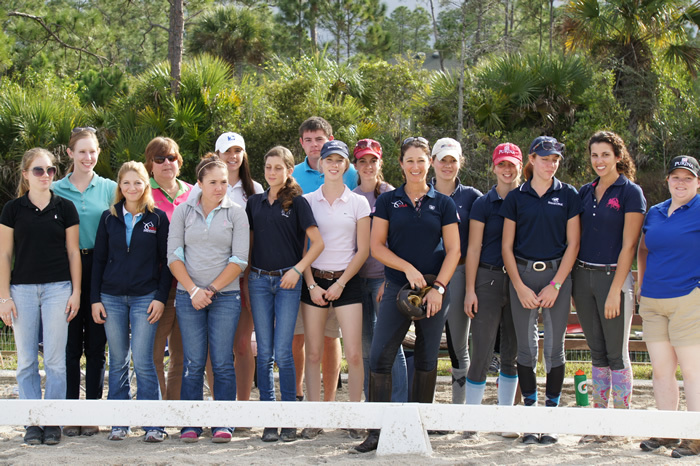 Not only does this program involve daily lessons with Lendon Gray, but also covers rider fitness, cross training, nutrition, sports psychology, media training, horse care, riding theory as well as riding tips from other top international riders.The students had a morning to spend with Catherine Haddad Staller, learning her training techniques on several horses and how she allows the horses to train the rider.